The Malian singer, signed on French label No Format!, goes on a world tour. Following her successful Mogoya album released a year ago, the songstress has recently won the Songlines Music Award 2018 for the Africa and Middle East region, rewarding a record full of joy and maturity. 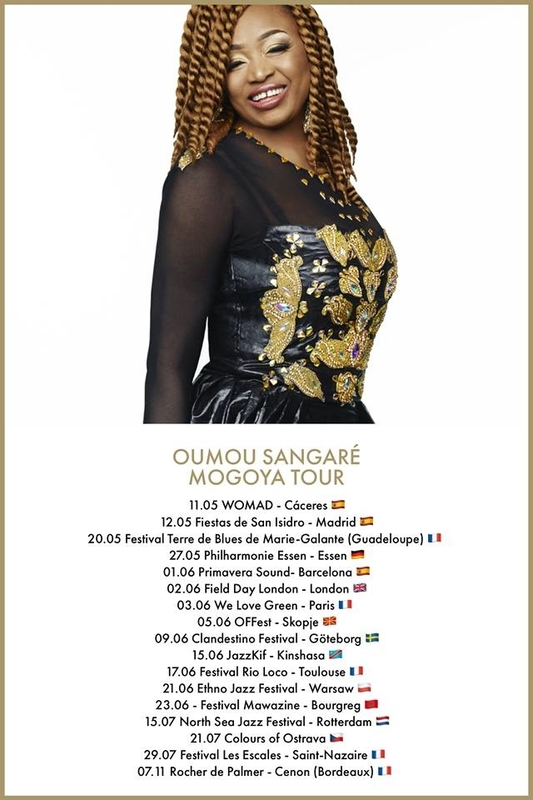 As part of her “Mogoya Tour”, Oumou Sangaré will travel through Spain, Germany, England, Macedonia, Sweden, Democratic Republic of Congo, Poland, Morocco, Netherlands and Czech Republic.